We sailed on this boat for two weeks in October of 2010 when it was only a few months old. 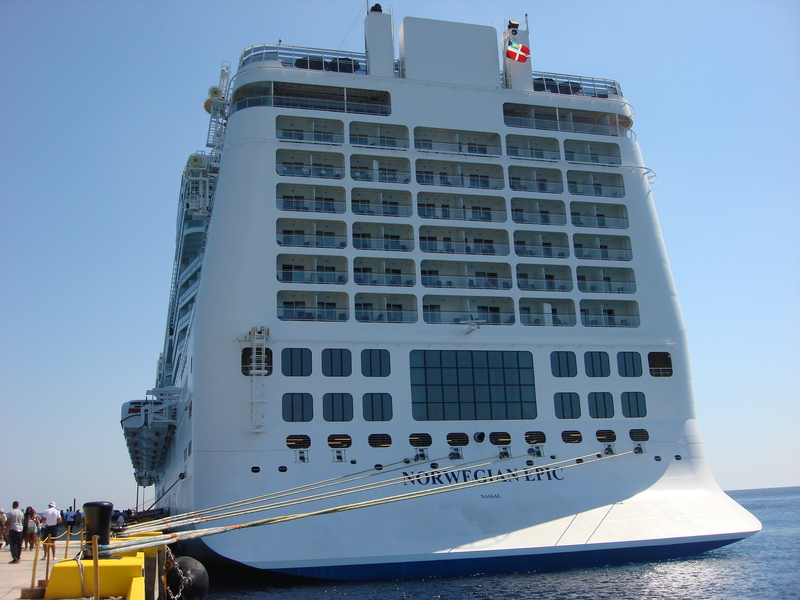 It was the third largest cruise ship in the world at that time, but has since been bumped down to the fourth largest cruise ship in the world (the top three all belong to Royal Caribbean). On our cruise, the ship left from the pier in Miami, Florida. The first week, we stopped in: Costa Maya, Mexico; Roatan, Honduras; and Cozumel, Mexico before heading back to Miami. The second week we stopped in: St. Maarten; St. Thomas, US Virgin Islands; and Nassau, Bahamas and then returned again to Miami. 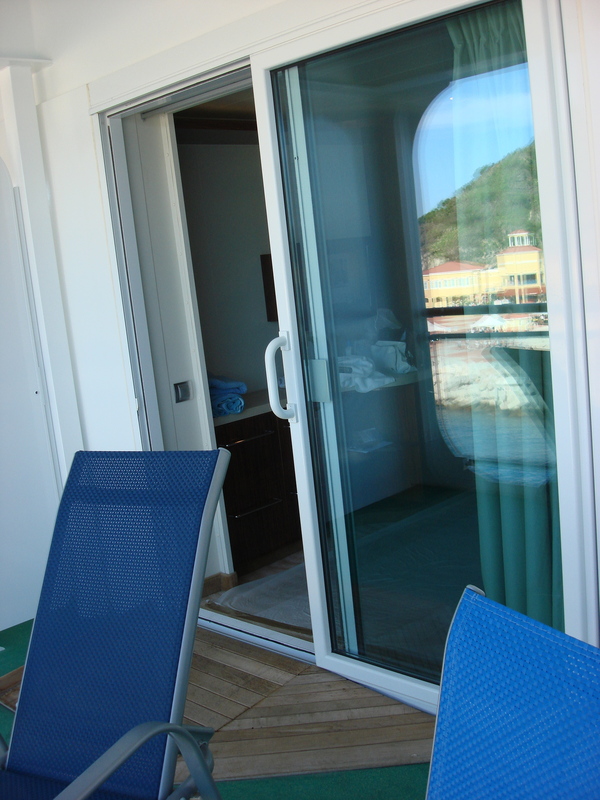 We had a balcony suite on the very back of the boat. 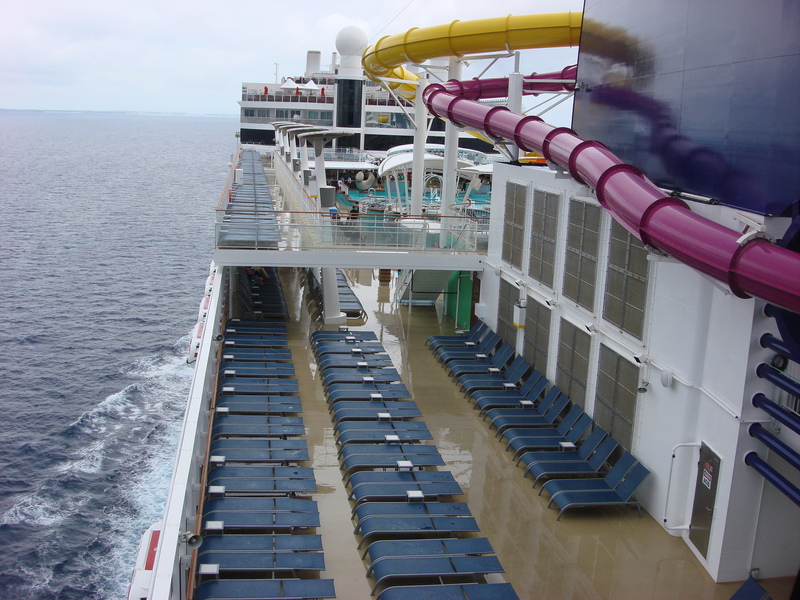 The Norwegian Epic is a HUGE ship, which we thought was good because there were so many things to do. Once everyone got settled in, we didn’t notice that there were approximately 4000 people on board. 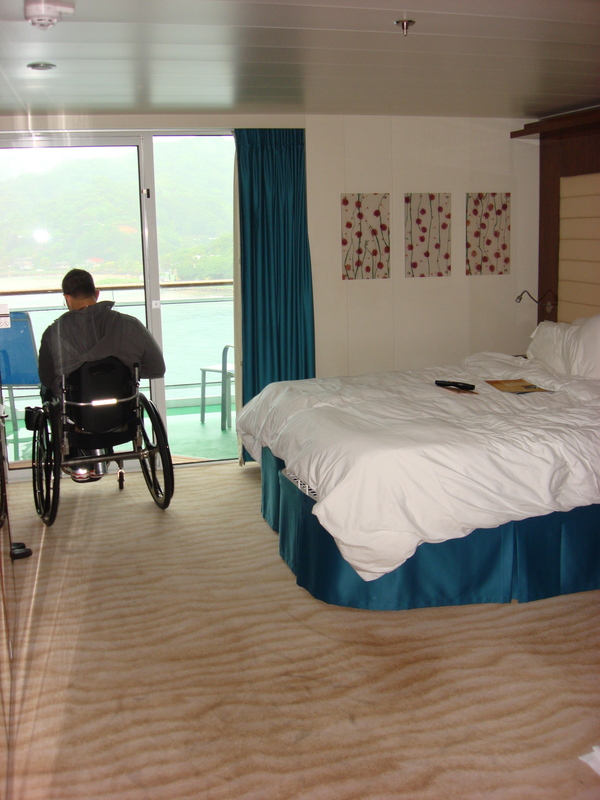 We stayed in a wheelchair accessible room at the very back of the boat. We wanted the back of the boat because we thought it would offer the best view. 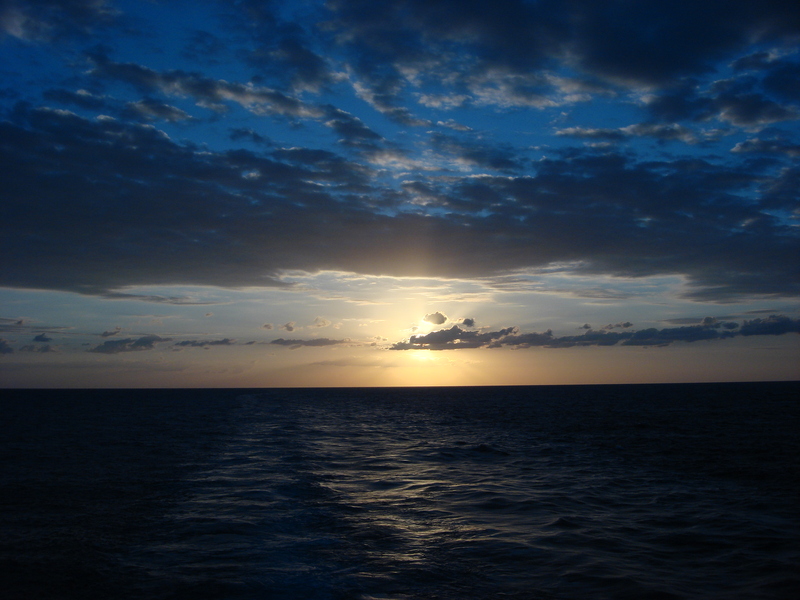 When sailing away from the ports, we got to take in all of the scenery and the views of the sunsets were out of this world. Our room was quite large compared to the non-accessible rooms on the boat. There was ample room to wheel around. The bed was a king-sized bed and it was very comfortable. The decor on this boat was very tasteful (some boats have a lot of crazy colours but this was very modern). The balcony could easily be accessed in a wheelchair as they built a small wooden ramp on the outside to create a smooth transition. 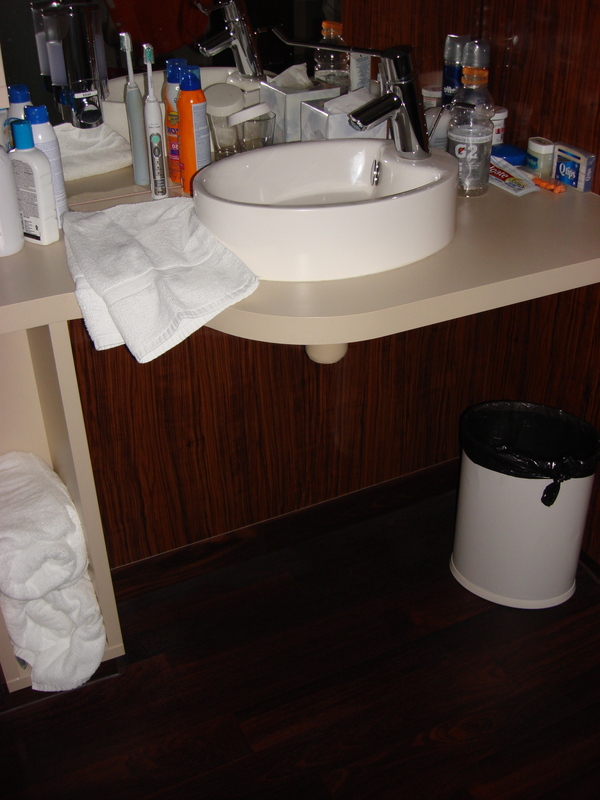 The bathroom in our room was very compact (as all of them are on the boat) but it had everything we needed. The shower and toilet were in a separate room of their own. The toilet came equipped with grab bars on all sides of the toilet (and behind) and a plastic, raised toilet seat. 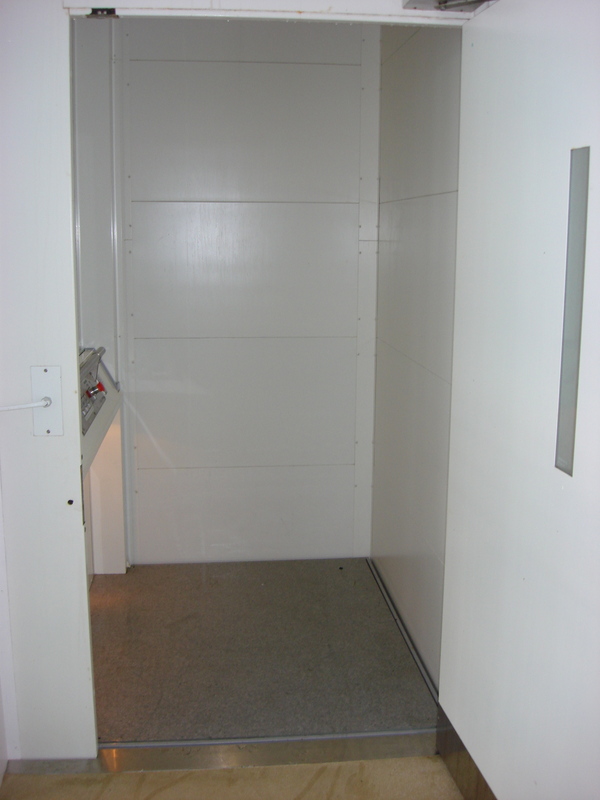 The shower was small but functional and had a built-in shower bench that folded up and out of the way when not in use. 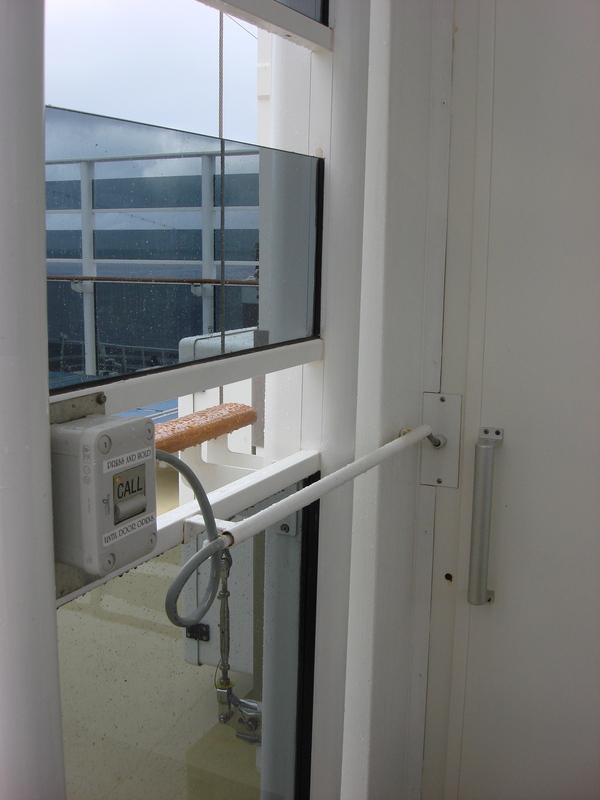 The shower controls could easily be accessed by someone sitting on the shower bench. The sink was outside in the main area of the room, which was nice as it could be used even if someone was in the bathroom. It was small but it was wheel-under. The height of the counter was good for those in wheelchairs (although basin-type sinks can be trickier to use when you can’t stand over them). 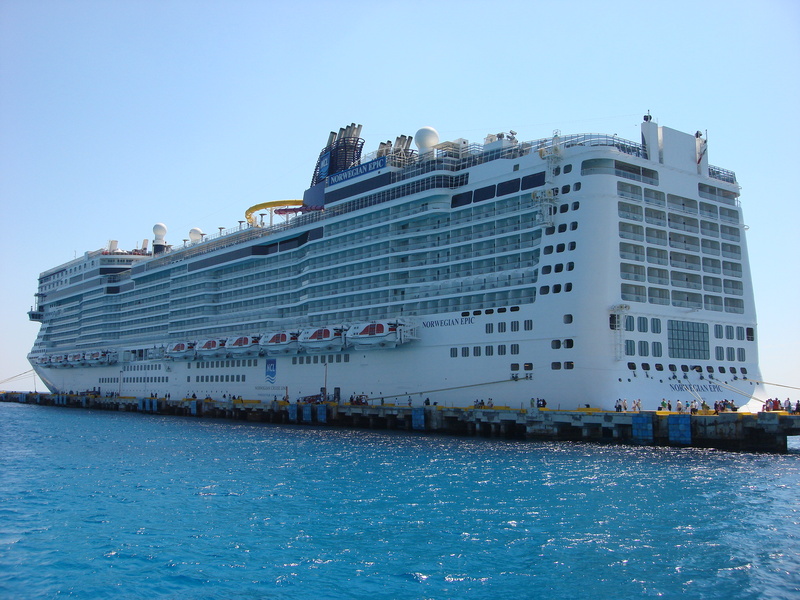 Those who have been on cruises before will know that cruise ships are a great way for those with mobility issues to travel. 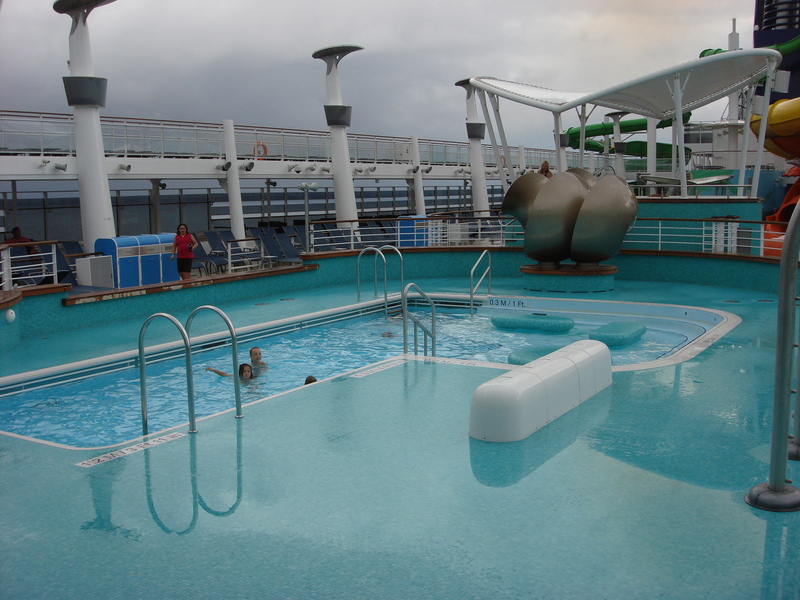 They are generally completely accessible and the Norwegian Epic is no different. 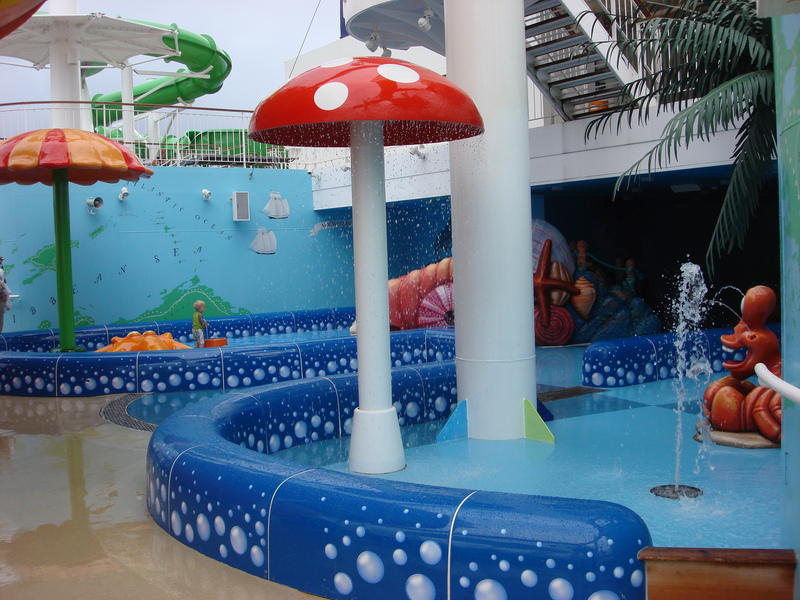 Other than some of the activities on the boat (rock climbing wall, waterslides, etc. ), there was no area of the ship that was not accessible. 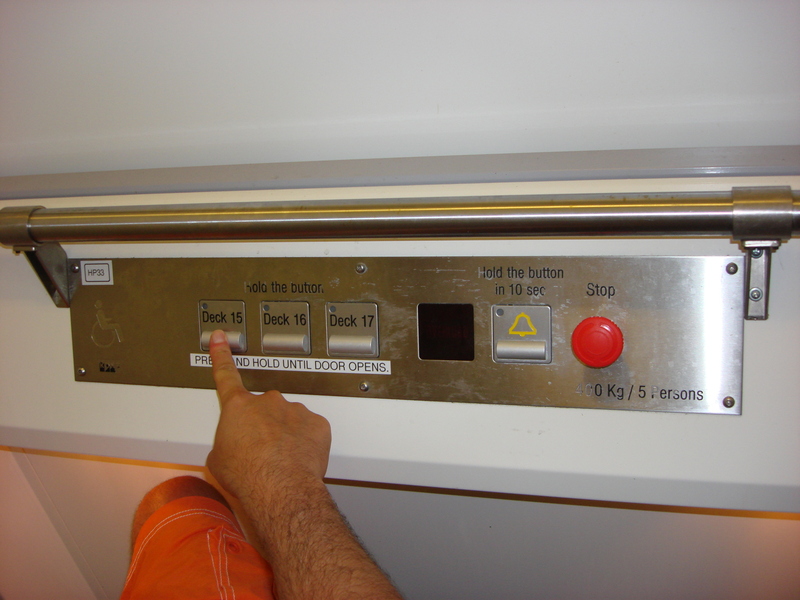 Even at the back of the boat, where the main elevators didn’t run, we located a wheelchair lift that gave us access to every level. 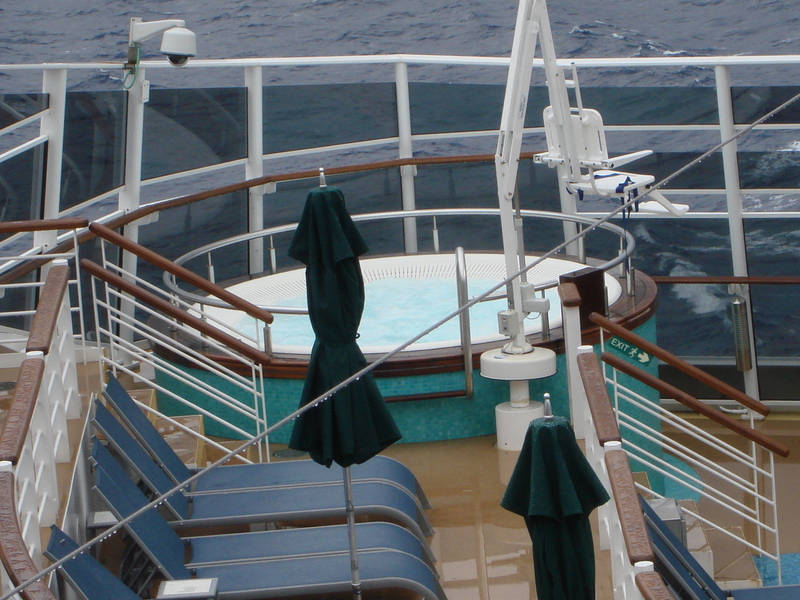 There were several pools and several hot tubs on this boat and one pool and one hot tub were equipped with a pool lift. 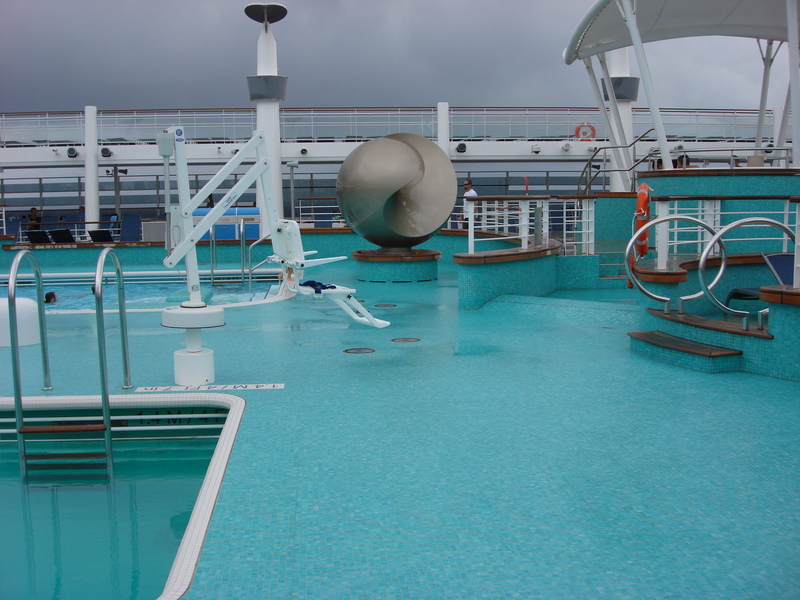 The other pools could be accessed by someone in a wheelchair if you felt comfortable bouncing down into the water. The other hot tubs could not be accessed as they were all raised and required the ability to navigate a number of stairs. 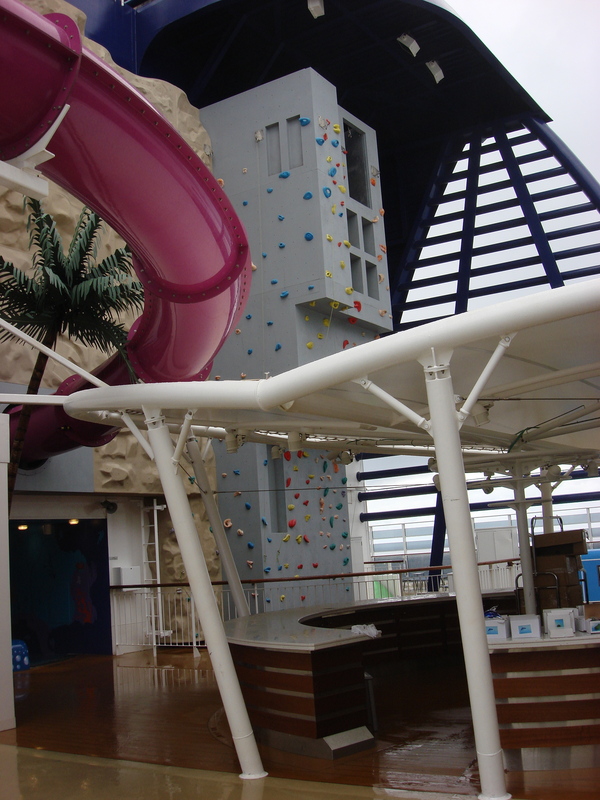 The main areas of the Norwegian Epic were all accessible. 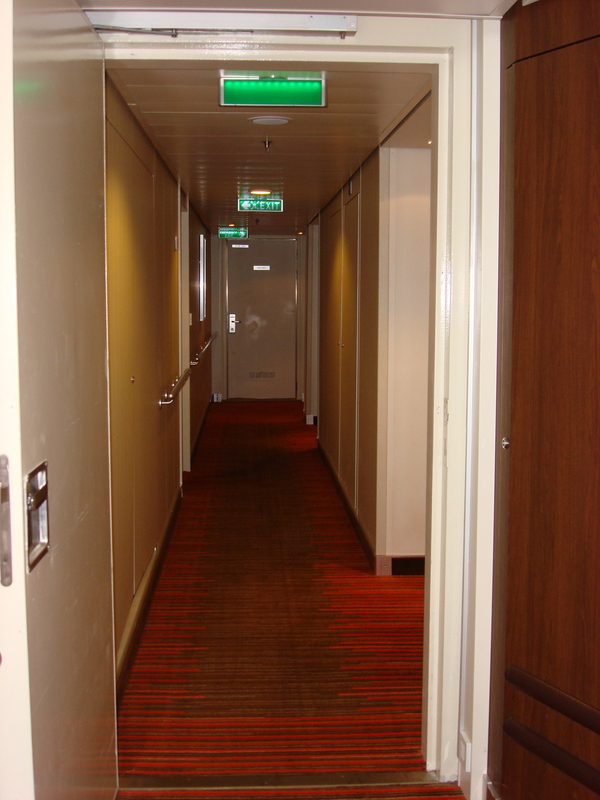 Most cruise ships have very narrow hallways but, on this ship, they were not too bad. The only real problem we ran into navigating the hallways was trying to get around the housekeeping carts in the middle of the day. The buffet area was huge and could easily be navigated in a wheelchair. The food on the Norwegian Epic was amazing. 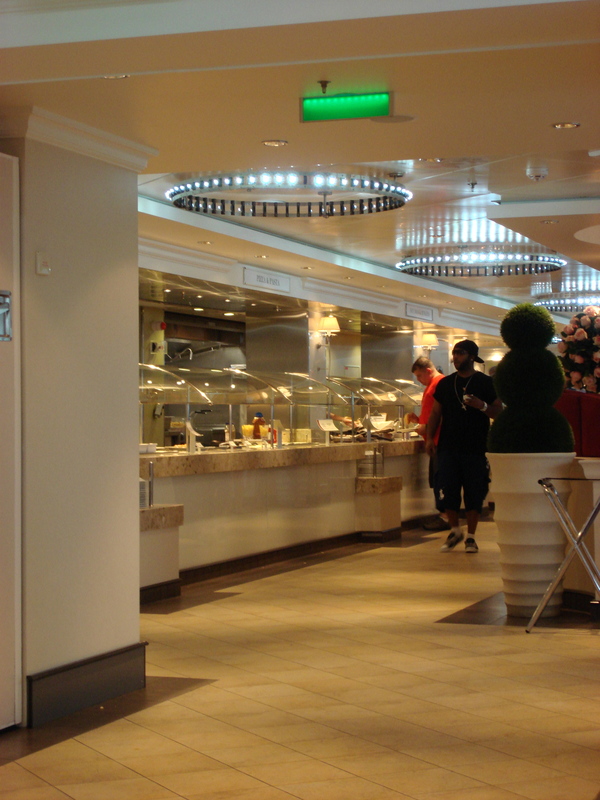 Norwegian Cruise Line does freestyle cruising, which means you can eat whenever you want. The food at the buffet was exceptional and there was always a good selection available. A few of the specialty restaurants required reservations, but for the rest of the eating establishments, no reservations were required. The specialty restaurants not only had good food but they offered beautiful views. They were definitely worth experiencing. The food served on the Norwegian Epic was far better than anything we have experienced at an all-inclusive resort. There were a lot of activities available on this boat. The evening entertainment included a magic show, comedy show, dinner theatre, dance party, the Blue Man Group show, impersonator show (Legends), movie night, sports night, etc. 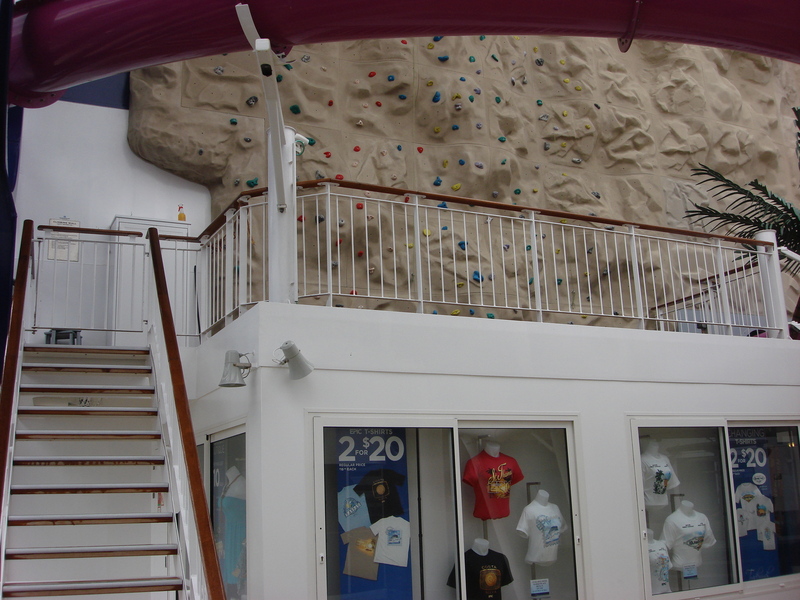 During the day, there were pool activities, waterslides, a rock climbing wall, ping pong, an arcade, a bowling alley, a basketball court, a climbing cage, etc. There was a huge gym on the boat, a walking/jogging track and a spa. Really, I wish we had had more days at sea so we could have spent more time exploring and relaxing on the boat. 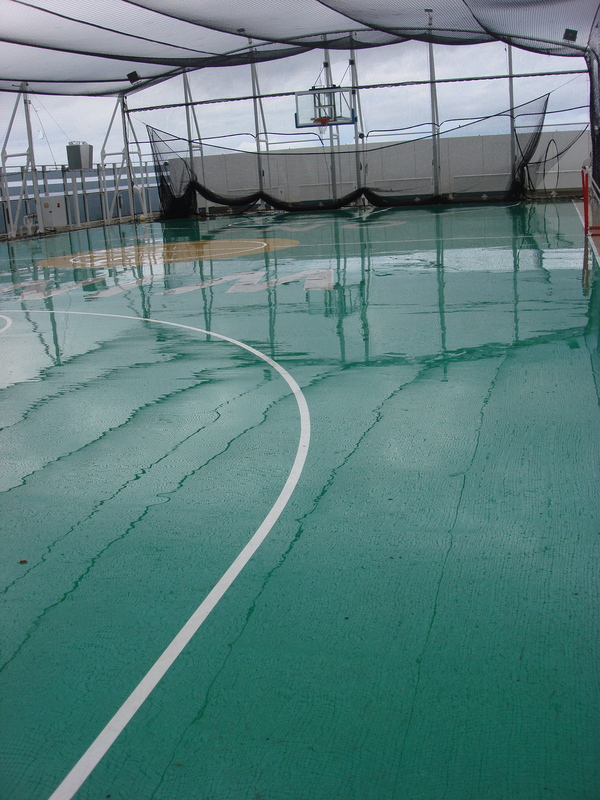 Basketball Court (This Was Taken on a Rainy Day. Most Days it Was Really Hot up There). Although the size of the boat was a good thing for us, as we were on it for two weeks and we never got bored, it could be a bad thing if you have a hard time getting around. 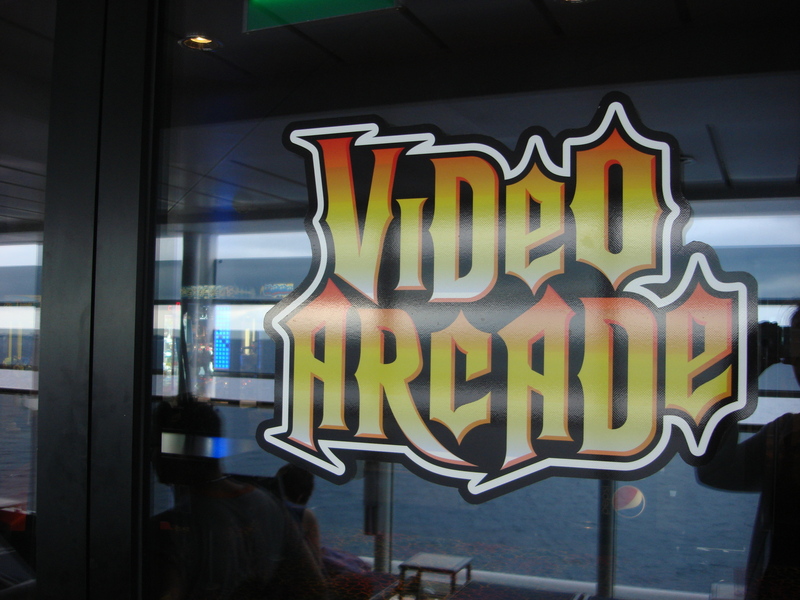 Cruise ships are primarily carpeted (with the exception of the pool deck and buffet area) and it can be really tiring wheeling down long hallways when you have to wheel on carpet. Given the size of this boat, you could be faced with having to make quite a trek to the buffet area or to one of the specialty restaurants depending on where you are coming from. This is something to keep in mind. 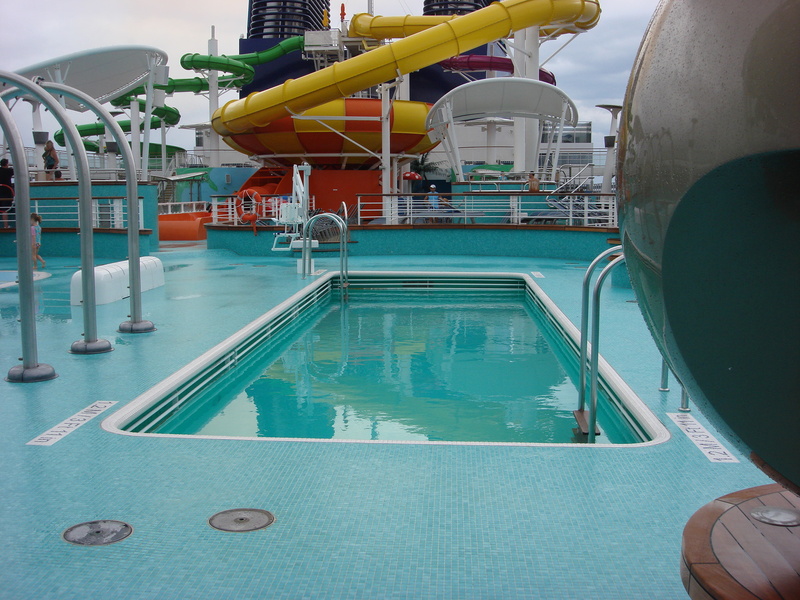 Sometimes we went up to the pool deck to make our way to the other side of the boat just because it was easier and quicker to wheel across the floor on that deck. There was a casino on this boat, which is a good thing for most people. We aren’t much into gambling so we don’t give it much thought either way. 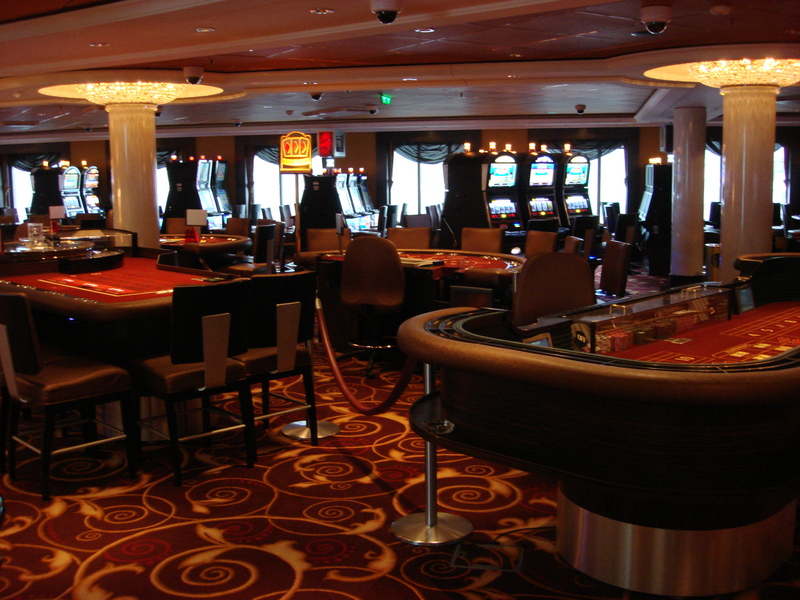 The only thing that did bother us was the smoke emanating from the casino at night. It was really strong on that floor and wafted up to the floor above it as well. They did make a real effort to use deodorizers and air purifiers but the smoke around the casino area was noticeable. We had one unusual experience on this trip that has never happened to us before. 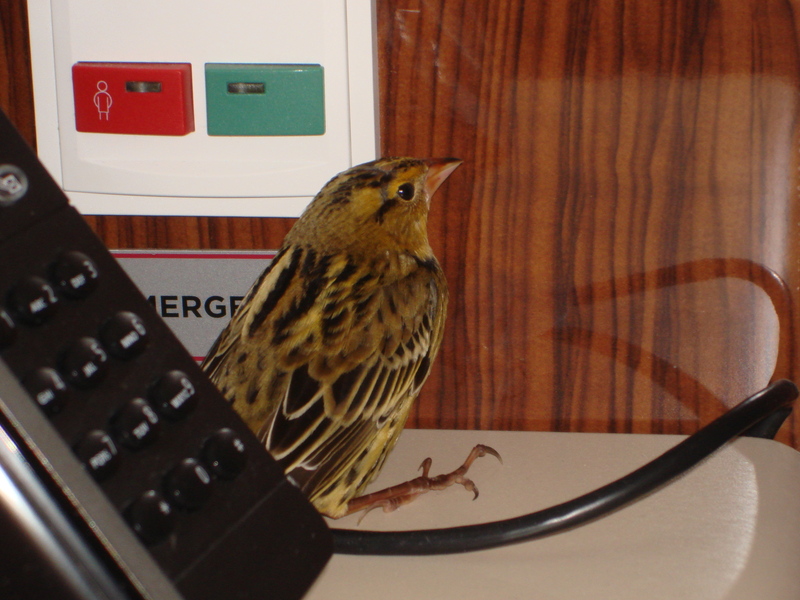 While the boat was sailing, a bird flew into our room through the balcony door and we couldn’t get it out! It resulted in some hilarious antics on our part, and eventually we were able to help it find the door again, but we spent a few crazy hours ducking and diving and running around the room trying to convince it to go back outside. For the second week of our cruise we had an issue with the heating and cooling system in our room. The ventilation system was continually blowing hot air. Given that the temperatures outside were extremely hot and humid, this got to be very uncomfortable. They tried multiple times to fix it and ended up having to order a part, which they were able to pick up at a port on our second last day on the boat. By far, the worst part of this boat was the vibration and noise it made when it docked at the ports. I am not sure if this could only be heard or felt at the back of the boat, but we would be sleeping soundly early in the morning and when the ship began docking at a port (usually around 7am, but sometimes earlier) the whole room would start to shake and the boat would make a horrible noise. It was so unbelievably loud that it was impossible to sleep. We are not morning people at all and every day that we were not at sea, we could count on this rude awakening. We had a really strange room steward for the two weeks that we were on the boat. When he noticed that my husband’s tires were leaving marks on the new carpets in the room, he taped white plastic all over the carpet with duct tape to help protect it. He seemed much more concerned about the cleanliness of the carpet than about how crazy it looked or how it would make my husband feel. I am sure he was trying to avoid having to shampoo the carpets at the end of our stay, which was totally understandable, but when we came back to our room and saw the plastic everywhere it kind of made us feel like we were in a contamination zone. If you go on this same itinerary, you might want to know a little bit about the accessibility at the ports. Costa Maya – There was very little to see at the stop in Costa Maya and it was insanely hot there. There were some shops right at the port where we wandered around but they had the usual souvenirs. You would have to look for an accessible excursion here if you wanted to see something interesting. Roatan – Roatan was relatively accessible, however, we felt pretty unsafe walking around there. We left the shopping area at the pier as we wanted to find some local crafts, but after walking through several dark, back-alley shops and being followed and harassed by small children needing money, we made a quick exit back to the boat. Cozumel – Cozumel was great for accessibility and it was a fun stop. We had a really good day there walking around and were able to see lots of different places and do a ton of shopping for family back at home. St. Maarten – St. Maarten was fairly inaccessible. We were able to get on a water taxi to the downtown area so that we could walk around a little bit but there was a lot of cobblestone, very narrow sidewalks and a lot of uneven pavement. St. Thomas – We were unable to get any form of accessible transportation in St. Thomas or find anyone willing to take us on a tour so we spent the day wandering around the shops at the port. There were quite a few shops there, but nothing overly exciting. Nassau – We were not able to find a wheelchair accessible cab in Nassau but the cab drivers were all willing to help carry my husband into their vans. We took a cab over to Atlantis and walked around there for most of the day. Beware that it is crazy expensive there but it was fun to see. We also explored the straw market in Nassau, which was a little tough to navigate in the wheelchair due to narrow aisles, but it was a good place to shop and chat with local people. Miami – Miami was very accessible. We took a cab to South Beach and enjoyed walking up and down Ocean Drive. 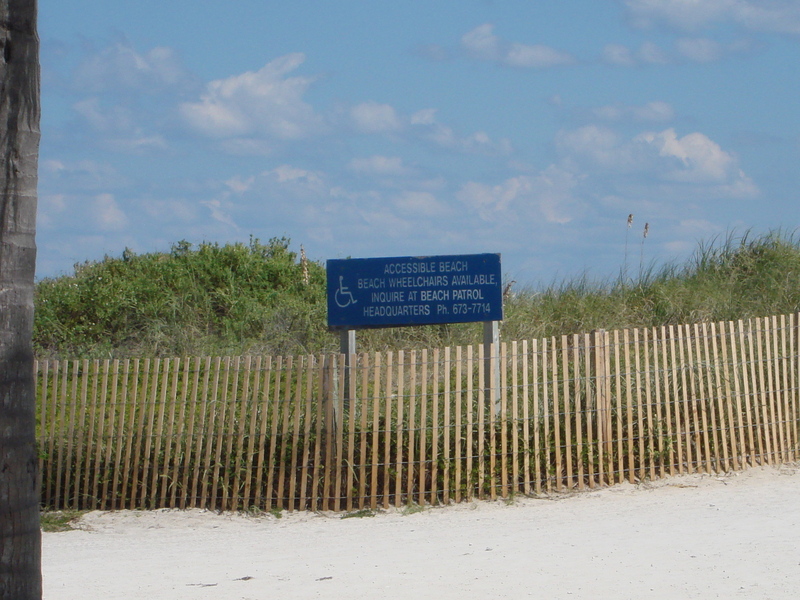 We were surprised to find that there were mats laid out along the beach for wheelchair access and there were beach chairs available at the Beach Patrol Office. We wished we had had more time there so we could have spent more time on this beautiful beach. 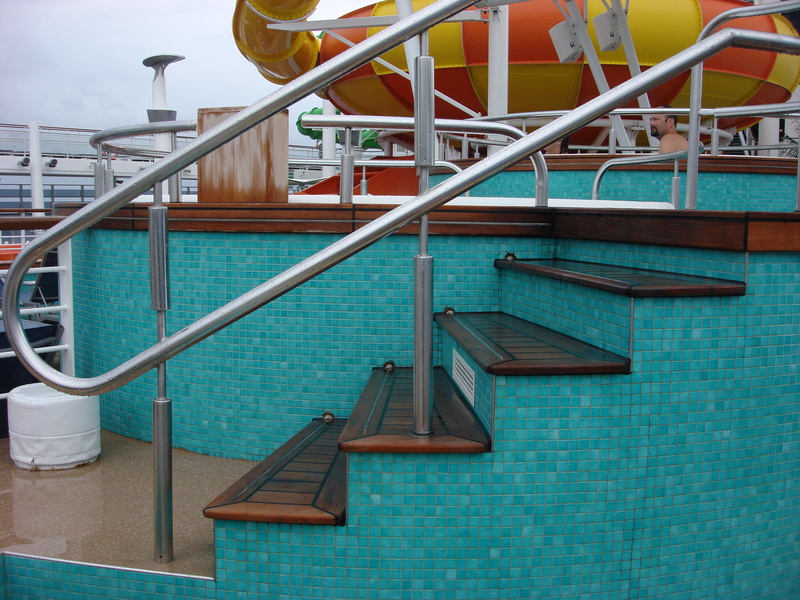 For wheelchair users, you can’t go wrong on a cruise. It is a great way to see more of the world with very little hassle. No matter how inaccessible the various ports might be, you always get to go back to your room at night and you know that you have what you need there. The real luxury of a cruise is that no matter what type of vacation you like to have, whether you like to be busy and see everything and try every activity or whether you like to sit on a lounge chair in the sun sipping on drinks all day long, you can do it on a cruise. There is truly something for everyone. 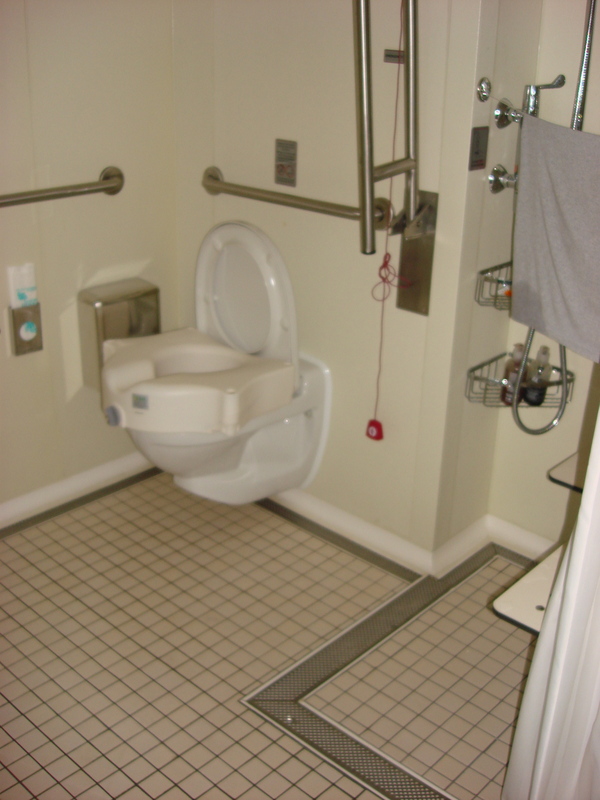 This entry was posted in Bahamas, Costa Maya, Cozumel, Florida, Honduras, Mexico, Miami, Nassau, Roatan, St. Maarten, St. Thomas, United States, US Virgin Islands and tagged accessibility, accessible, accessible bathroom, accessible beach, accessible cruise, accessible pool, accessible toilet, Bahamas, beach, beach chair, built-in shower bench, Caribbean, Costa Maya, Cozumel, cruise, disability, entertainment, grab bars, holiday, Honduras, king-sized, manual wheelchair, Mexico, Miami, Nassau, Norwegian Epic, pool, pool lift, ports, raised toilet seat, Roatan, sci, shower bench, special needs, spinal cord injury, St. Maartens, St. Thomas, steward, trip, waterpark, wheel-in shower, wheel-under sink, wheelchair by papawheelieblog. Bookmark the permalink. Thank you so much for all of this information! I am taking my mom who is wheelchair-bound on her first cruise aboard the Epic. Even though I have done a lot of research online and have also called the telephone listed for questions pertaining to disability access the Norwegian provides, I have still not been able to find as much detail as you provided. The Norwegian does not have photos of their swimming pool chair lift and I had my doubts. It would be terrible for my mom not to be able to use the swimming pool as that is one of the highlights for her. The only photos I found anywhere were the ones you provided! Thank you so much! Now I feel confident about booking the trip as I know it will be an absolutely magical experience for my mom. I find it challenging to find vacations accessible AND fun for her but after reading your article I’m convinced it will be a vacation that we will both enjoy. Once again, thank you so very much. This makes me so happy to read, Maria! This is exactly the reason that I decided to create the blog in the first place because I also found it really difficult to find pictures of the things I wanted (and needed) to see.